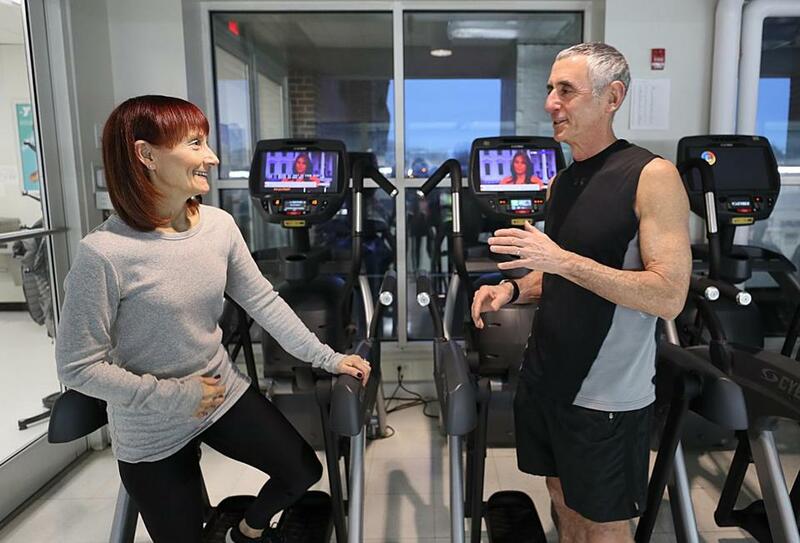 After becoming bored in retirement, Ron Cohen took a job at the Y, where he and his wife, Susan, a teacher, are members. Roslindale social worker Edy Rees said she and her husband, software engineer Mark Katz, “had this great plan” for retirement: She would garden and volunteer. He’d build furniture at his woodworking bench. They’d travel to visit friends in the British Isles. But outside forces intervened. Katz, now 70, took early retirement when his company was sold, becoming an on-and-off consultant. Budget cuts forced Rees, 76, to leave her job at a charity, though she continued for a time as an unpaid volunteer. After her daughter had a baby girl, Rees was pressed into grandmother duties. Katz jumped into helping on political campaigns. There’s been little time for travel. “We didn’t have a lot of control over our retirement circumstances,” Rees said. For many older people today, a make-it-up-as-you-go approach to retirement has supplanted the old notion of an orderly passage from the office to the golf links. Jobs are less secure than they were in the past, pension plans less generous or nonexistent. Market convulsions throw retirement agendas into flux, punishing those who haven’t saved enough and are scrambling to catch up. Many in their 60s and 70s who need or want to keep working are taking part-time jobs, or stints in the gig economy that blur the line between work and retirement. Couples aren’t always on the same page, either: Many have no clue when they — or their partners — plan to retire. This month’s stock market plunge, which erased billions in market value from Americans’ retirement accounts, has buttressed the case for staying in the workforce. The old ideal of a career culminating with a handshake and a gold watch mostly applied to buttoned-down professionals in the post-World War II era. Some in the baby boomer generation, many of whom expect to live longer than their parents, question the very term retirement because it connotes stepping aside and disengaging. “It suggests that you’re relaxing and laying back, and you deserve that, because you put in a lot of work,” said Sarah Lamb, professor of anthropology at Brandeis University. “Old age was seen as a time of stepping away from society and getting ready to die. Now that view’s fallen out of fashion, and the culture emphasizes ongoing extended adulthood. Ron and Sue Cohen, both 66, rarely talked about retirement until last year. Retirement seldom figures in pillow talk between significant others. A recent study by Fidelity Investments, the Boston financial services giant, found more than four in 10 of the couples it surveyed disagreed about what age each partner planned to retire. That included a third of baby boomers nearing retirement or already in some phase of downshifting, unplugging, or cutting their ties with their employers. The study also found that more than half weren’t aligned on how much they should save before they retired. Forty-nine percent of responders, including 46 percent of boomers in or approaching retirement, said they had “no idea” about how big they wanted their nest egg to be. The firm surveyed 1,662 couples who were married or in long-term relationships and had minimum household income of $75,000, or at least $100,000 in investable assets. Fidelity vice president Lorna Kapusta, who led the study, said the findings underscored the need for couples to communicate better about their goals and finances. She suggested they set aside time, at quarterly sit-downs or less formal date nights, to discuss “their spending habits, what they owe, and what they own” in the context of their retirement aims. Ron and Sue Cohen, both 66, rarely talked about retirement until last year. That’s when Ron decided to leave his position as regional attorney for the National Labor Relations Board after 41 years in its Boston office. After cleaning out their garage and doing projects around the house last winter, he grew bored and restless. 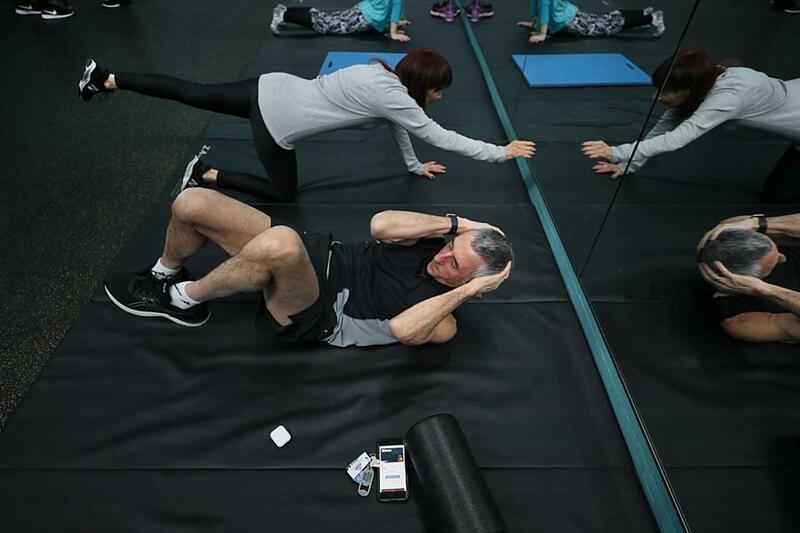 This fall, he took a part-time job working at the membership desk at the West Suburban YMCA in Newton Corner, where he and Sue are both members. Sue, meanwhile, continues to work as a sixth-grade English teacher at a middle school in Newton. While she’s told Ron she plans to retire at the end of the current school year, he’s not sure he believes her — and she concedes she’s not certain. Retirement can be a stressful passage for many people, especially those feeling financial pressures. Half of American households are at risk of not having enough savings to maintain their living standards in retirement, according to the National Retirement Risk Index. The index, based on Federal Reserve data, is compiled by Boston College’s Center for Retirement Research, which cites factors such as the decline of private pensions and the surging cost of health care. Many people also derive their sense of identity from their jobs. Some men in particular can question their self-worth once they lose their role as breadwinner, said Dr. Jason Strauss, director of geriatric psychiatry at Cambridge Health Alliance. But some couples are thriving with an improvisational approach. Beverly Daniel, 70, of Wayland, retired three years ago from a career as a teacher and school administrator. Her husband Warren, also 70, a self-employed architect, retired around the same time. He still works just enough to keep busy and make some extra money, but leaving time open to pursue other passions. Since their retirement, the Daniels have traveled extensively. They’ve biked along former rail trails in Massachusetts and New Hampshire, toured England and Scotland, and driven a camper van across parts of the Southwest, the Pacific Northwest, and the Rocky Mountains. Beverly Daniel said the couple’s retirement plan continues to evolve. Right now they’re in the “go-go stage,” she said, spending eight or nine weeks a year on the road. She anticipates later shifting to a “slow-go,” and eventually a “no-go,” stage. But that will hopefully be many years — and miles — down the road.